Tommy, who suffered a stroke that left him severely parlaysed and unable to express himself verbally came to Millbury Nursing Home three years ago. 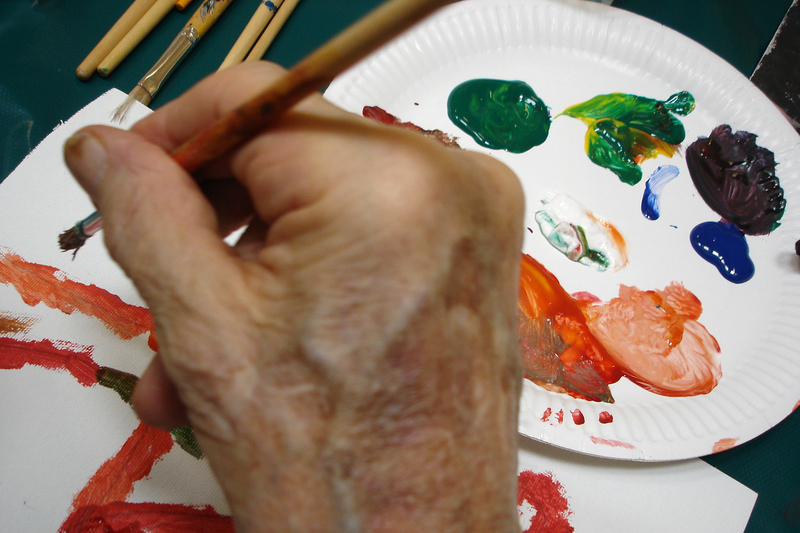 Through his rehabilitative process Tommy discovered a love for drawing and painting. 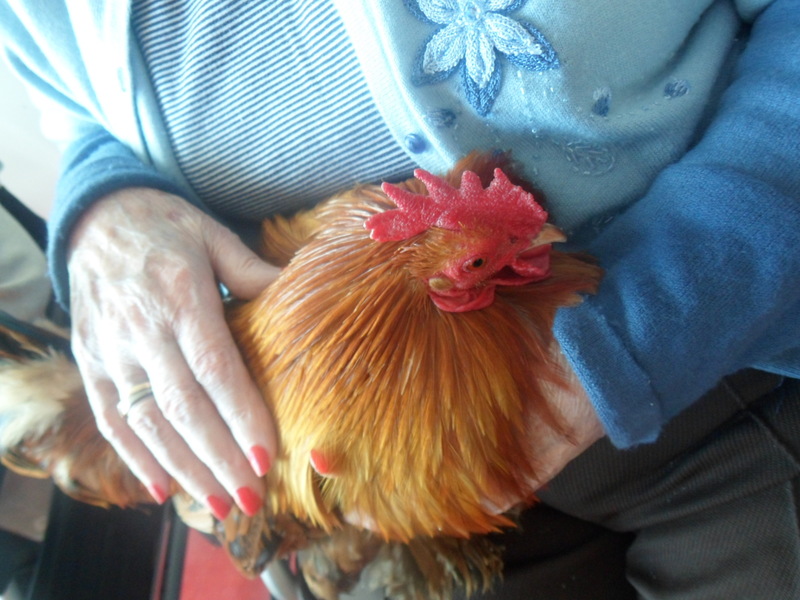 Our activity coordinators encouraged Tommy with regular art classes and his painting improved to such a high level that Tommy was able to hold an art exhibition, last year, showing his art to friends, family, staff and residents which was a huge success. This is even more remarkable as Tommy is naturally right handed, but he has created all his art work using his left hand. 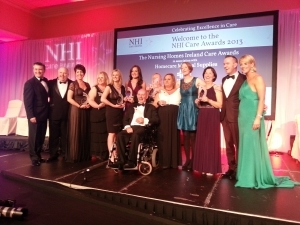 Tommy achieved the Resident Achievement Award at the NHI Care Awards. The judging panel for this national award thought Tommy was an inspiration to residents and a remarkable person who had achieved a significant success since moving into a residential setting. Tommy received his award in front of 400 people at a special ceremony in the Citywest Hotel. We believe that Tommy’s achievement has served as an inspiration to other residents and also to staff, who take great pride in his accomplishments. Tommy took charge of his disability and discovered a new passion which allows him to have a new joy in his life once more. He makes the most of everyday, not letting his disability stand in the way of living his life! The Millbury Art Exhibition will take place in late April 2014 and it will be opened by the Mayor of Navan.